From the Guardians of the Galaxy film comes this Guardians of the Galaxy The Collector Pop! Vinyl Bobble Head Figure! 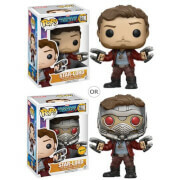 This Guardians of the Galaxy The Collector Pop! Vinyl Bobble Head Figure stands about 3 3/4-inches tall and comes in a window display box. 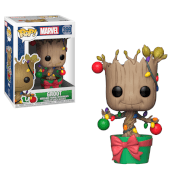 This The Collector Pop! 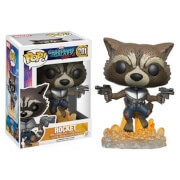 Vinyl figure makes a great addition to any Marvel and Guardians of the Galaxy fan's collection!